Once every two weeks or so, Ubuntu is a topic of discussion in the world of smartphones. 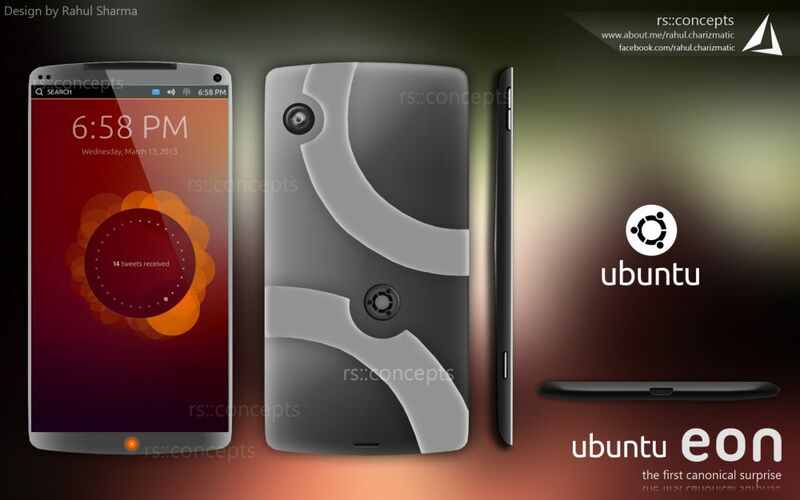 Everyone wants an Ubuntu superphone, not just customized software running on existing hardware. 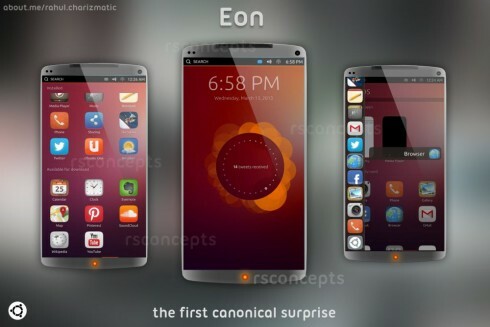 Well, Rahul Sharma imagined such a device and created the Ubuntu Eon Superphone by Canonical. 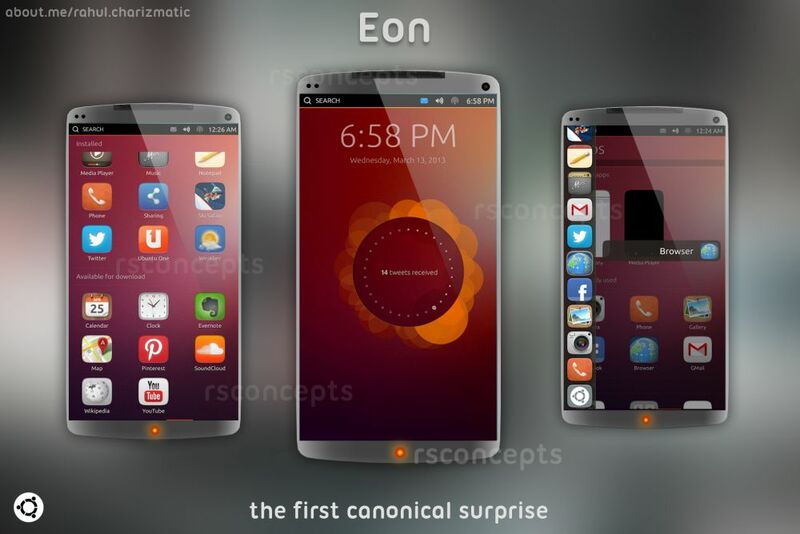 The tagline for the product is “the first canonical surprise”, since the phone is developed by Canonical itself, in this theory. The handset you see here is made from a blend of polycarbonate (front), while the back is all chrome. The back side has a beautiful design and has a specifically engraved Ubuntu logo. Specs of this Ubuntu smartphone include the Ubuntu Touch OS, LTE, a 2.3 GHz Snapdragon 800 processor and 2 GB of LPDDR3 RAM. There’s also a 5 inch Full HD display on board with oleophobic coating and Gorilla Glass 3. AT the back we’ve got a 13 megapixel camera with optical stabilization developed by Nikkon lenses. The front camera is a 3.2 MP unit with 720p capability and we’ve also got SRS premium Surround sound and the usual sensors. Finally, we’ve also got a HDMI port for extending the Ubuntu experience onto the desktop. The Ubuntu phone you see here measures just 6.7 mm in waistline, has augmented reality, gesture recognition, 64 GB of internal storage and a 3000 mAh battery. I really enjoy this design. Do you?